The Function Room at The Farmhouse Hotel is a warm and inviting space, with a capacity for 60 guests. Furnished with oregan dining room tables and chairs, a fireplace and beautiful views of the lagoon, the room opens up onto the terrace and is separated by French doors from the main dining room, which is used to enlarge the function room for sizable receptions for up to 100 people. You are welcome to organise your own Wedding DJ or band and there is space to dance in the reception room. The popular farm style restaurant will cater for your special occasion and offers various menu options that promise to delight evenbthe most discerning of guests. The Farmhouse Hotel also offers the Celebration Area, with 70 square meters of elevated floor space and a 180 degrees view of the Lagoon and beyond. 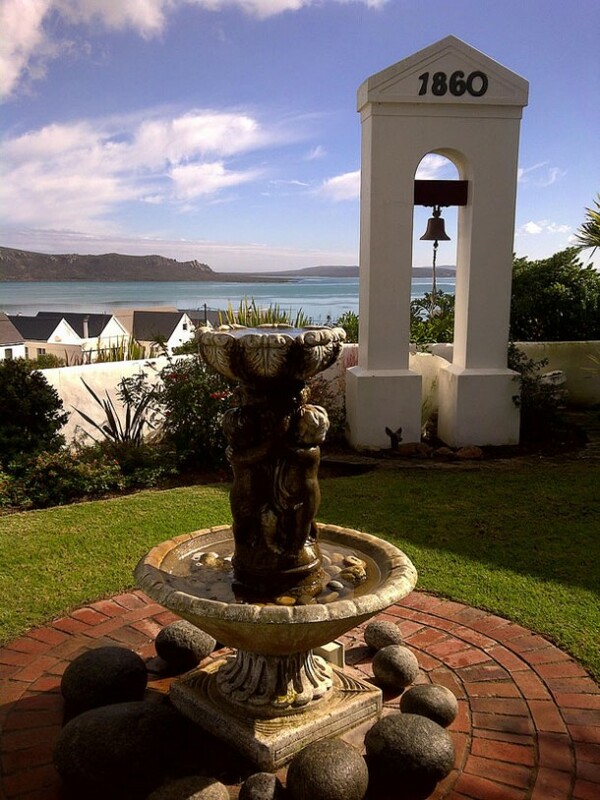 This beautiful unpretentious area and view will put a quiet smile on the face of any guest you invite to join you at your wedding a special breakfast, lunch dinner or any function in between. The venue lends itself to being dressed up in various themes from beach bric – brac to sea side – chic or even authentically “Weskus”. With church style seating for 70 guests and various forms of breakfast, lunch and dinner seating up to 48 guests this venue will easily impress your guests either as a ceremonial or celebration venue. If you are interested in a viewing or need more info, contact the Team at the Farmhouse on telephone +27 (0)22 772-2062 or see The Farmhouse Hotel for more photographs or to send an enquiry. I would like to know the price for The Farmhouse House as a wedding venue ? 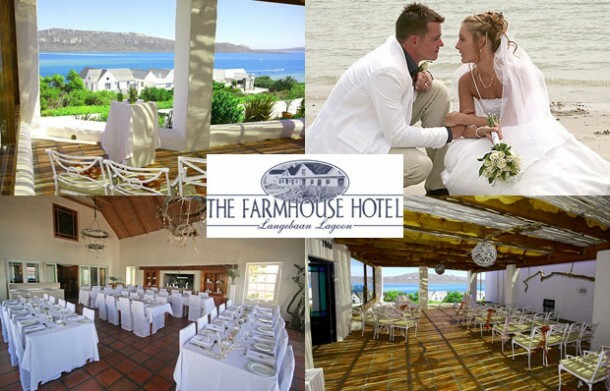 It would be best to contact The Farmhouse Hotel directly which you can do by clicking on their link in the Contact Details above or by giving them a call. Happy planning!